Since beginning She Wears Many Hats a few years ago, I’ve met so many wonderful people. Some have become very close friends, enriching my life in so many ways. One of those precious friends is Bridget from Bake at 350. Bake at 350 is a site where Bridget wields her talent-filled piping bags to create treats to share with us all. She’s a lovely lady, full of creativity, and one very cool shoe collection. Today I’m tickled to share Bridget’s new book with you just in time for the holidays: Decorating Cookies: 60+ Designs for Holiday, Celebrations & Everyday. It’s filled with cookie designs for all occasions, with special attention given to detailed instructions for newbies just like me. 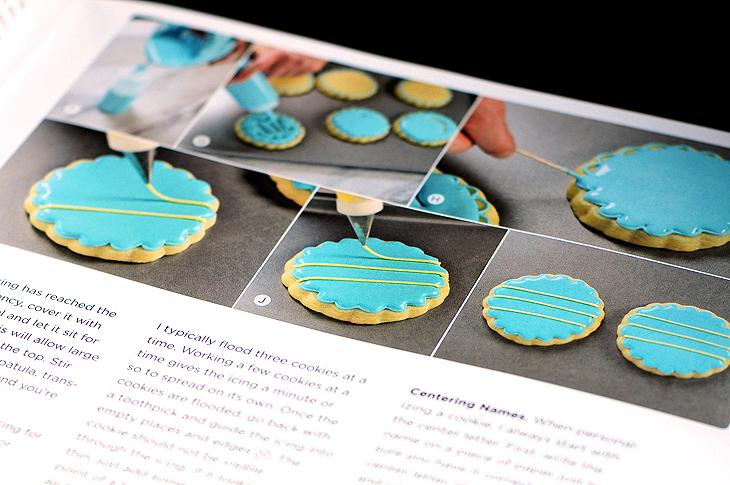 I was excited to receive a copy to try my hand at creating fancy decorated cookies in my own home. Bridget clearly has a knack for teaching. The book is nicely organized with a pictorial content page of designs, as well as pages for needed supplies, recipes, and tutorials on basic techniques to master. There’s even a troubleshooting section for handling problems that may pop up. 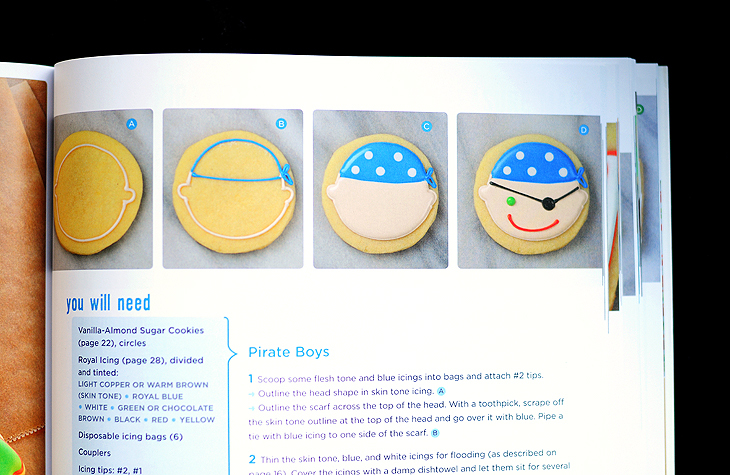 You’ll be happy to find a variety of cookie designs for all occasions with step-by-step directions for each design. Very cool. After reading through some of the technique sections, I decided to just make a batch of cookies to practice with in order to work out kinks and learn some of the handy tips Bridget covers in the book before making a real batch share. One of Bridget’s designs for snowflake ornaments, caught my eye and looked pretty simple for a starting place. Plus, I don’t know about you, but I’m in the mood for cooler weather. Bring on the snow! I played with a white and blue color combo creating simple snowflake designs of dots and lines. Then tried my hand at writing with icing. My hat is off to all those talented cookie and cake decorators out there! My results were far from perfect (many mistakes were made as I worked through the process), but with Bridget’s book at my side, I was able to learn how to correct some things and what to do differently next time. The next batch will be easier for sure. Maybe I’ll move on to 3 colors next time! Experimenting with icing is fun, y’all. I think my children’s interests were piqued watching me play. We’ll have a great time as a family working together on cookie projects. It’ll be fun to be able to decorate cookies with our grandchildren some day. 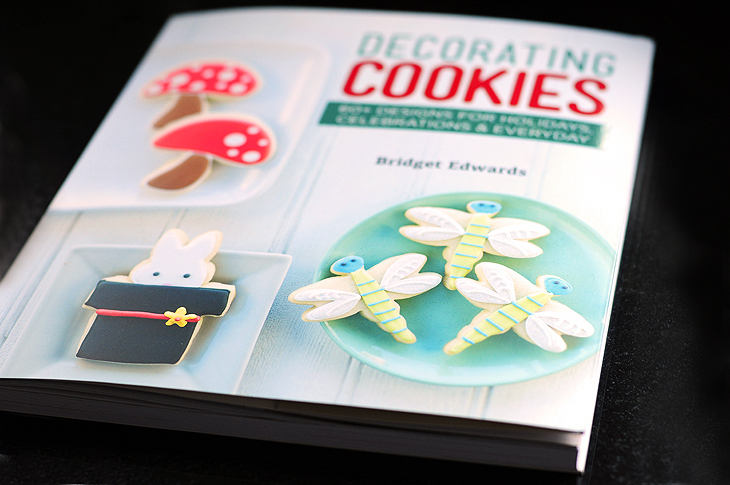 Look for Decorating Cookies: 60+ Designs for Holiday, Celebrations & Everyday by Bridget Edwards at your local bookstore or online at booksellers like Amazon. What a terrific addition it would make to any cookbook collection. And with the holidays fast approaching, this book will surely be one to add to the gift shopping list! Now … time for a giveaway! Yep. One person will be randomly selected to win a copy of this fabulous sweet book. YAY! To enter, leave a comment below. Entries will be accepted until Friday, October 19, 2012, Midnight PST. A random winner will be selected and notified via email sometime on Saturday, October 20, 2012. Open to U.S. residents only. Giveaway has ended and a winner has been selected. Congratulations to #66 Tina S. I’ll be contacting you Tina about your prize. Happy baking AND let it snow!!! Wow, this looks like a great book. Thanks for the chance to win! I tried decorating cookies a few weeks ago and had a blast! I would love to read all of her tips! Bridget is amazing and your cookies look fantastic too! I would love to win a copy of this book. Oh, I’ve always wanted to learn to do this! This book is so inspiring, I would love to try my hand at decorating. As soon as I saw the picture loading I got excited. I love the colors she used. I felt all talented just looking at the pictures. Thanks for letting us know about this book!! OOooo! I could really use a book like this! Last time I er…tried to decorate cookies, didn’t turn out too well lol…looked more like a big blob…. Love your super cute blog! Looks great…so detailed! I’d love to have a copy. I am totally not ready for snow, but think you did a great job on your cookies! I love B’s book! This looks like a fantastic book! Would love to win it! I wish I was as artistic. She’s so talented! Would love to try my hand at cookie decorating! Thanks for the contest. All these cookies are gorgeous! 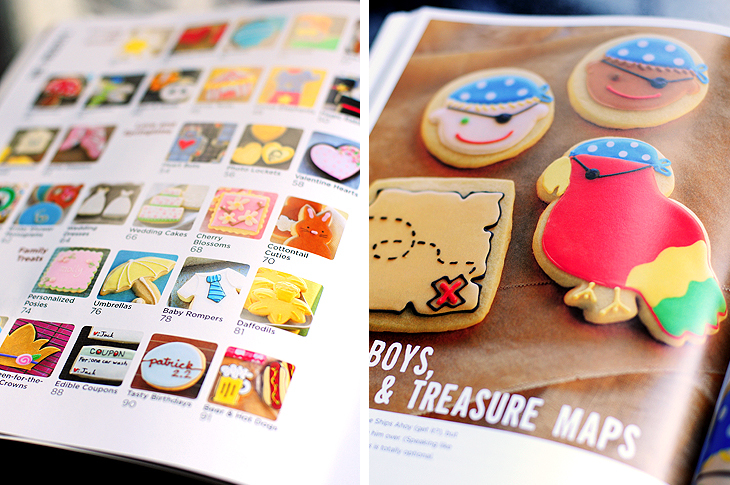 I love making cookies and this book, Decorating Cookies looks fabulous. For holidays and birthdays I enjoy decorating cookies that are delicious and fabulous to look at. I love, love, love the snowflake cookies. I need to learn how to decorate cookies!! Would love to add this to my collection. The cookies are beautiful, and I can see the decorating portion being a family event. Bridget, these are just gorgeous! I feel very pumped to take a piping bag in hand and go to town. Thanks for sharing this great book with us! Thak your for the giveaway. I love Bake at 350. Awesome. I would love to learn from the expert on decorating cookies too….I need serious help before the holidays arrive. 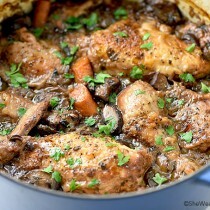 What a beautiful cookbook! I sent one to my niece who is a huge fan of Bridget and she was over the moon excited. Amy your cookies look fantastic! you did a FANTASTIC job Amy!!! you go girl!! Bridget is going to have some stiff competition now that she’s giving all her secrets out in that beautiful book!!! I’ve been seeing this book pop up all over recently and cookie decorating is one area I could use a little assistance in. Thanks for the chance to win! Hey Amy, you did an AWESOME job! They look like they came straight out of a bakery. 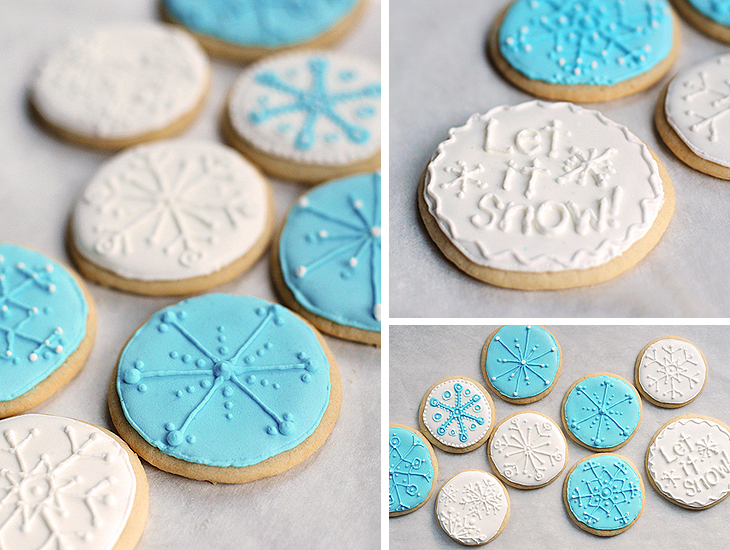 Wow, those snowflake cookies are pretty! I’ve been wanting to try decorating cookies for a while; this would be the perfect chance. Thanks for the chance to win! I would love to learn some new tricks! Looks like fun! And yes, bring on the cooler weather! Thanks for sharing this book. If I win I can continue to be part of even more celebrations. Pick me pick me!!!! It would be wonderful to receive such a beautiful book to learn a new skill and have fun at the same time. I would love to have this book. I’ve never attempted decorating cookies except for using sprinkles. I would like to try making some gingerbread man cookies using icing techniques. 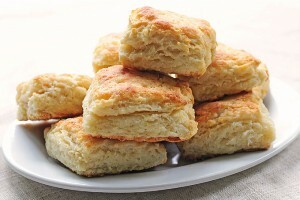 Your cookies look beautiful! And the book looks beautiful too…thank you for the opportunity to win it! I loved the color combination, you used for your snowflakes. The holidays are coming! I would love to learn to decorate with such perfection. What a wonderful book!!! I love the fact that it has step-by-step pictures throughout. Would love to own this book! this looks like a great book! Does it include patience? I have made dozens of iced/decorated cookies each year for Christmas…or thought I had until I saw the likes of Bridget’s work. 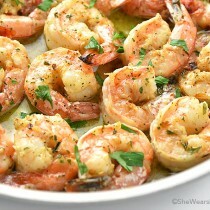 She is so meticulous and her results are quite simply stunning; I fear I would have trouble taking a bite! I think you did good actually Amy; very pretty cookies. So happy for the chance to win this awesome book! Thanks!!!! I love the different cookies. What an awesome giveaway! 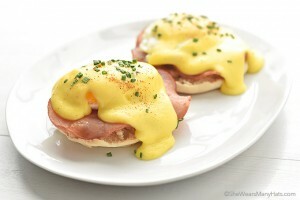 I love Bake at 350 blog. The cookies she creates are amazing and she makes it look easy so even I could attempt it. You did such a beautiful job on your cookies, Amy. I don’t yet have a copy of Bridget’s book, but it’s definitely on my wish list. I adore her and her work. What an awesome book, Bridget is always inspiring! sparkles, bags, some tips oh and lots ‘O royal icing, some time and some L O V E. Yes, please I would love to enter your contest. 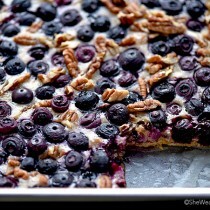 I love her Blog and her cookies are Amazing I would love to win this book!!! So nice of her to share and thanks for the giveaway! Your snowflake cookies are fabulous, Amy! Thanks for the chance to win Bridget’s book. I can’t wait to see it. I have to get my hands on a copy of that book somehow. 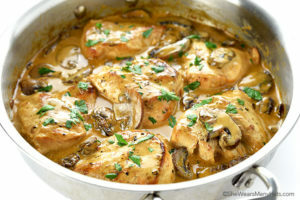 Looks terrific! That seems to be one informative book, can’t wait to get a copy! ….And you’re sure you don’t have loads of prior experience with cookie decorating? Because those snowflake and word cookies look professional. Love her blog, she’s so talented. What a great cookie book! 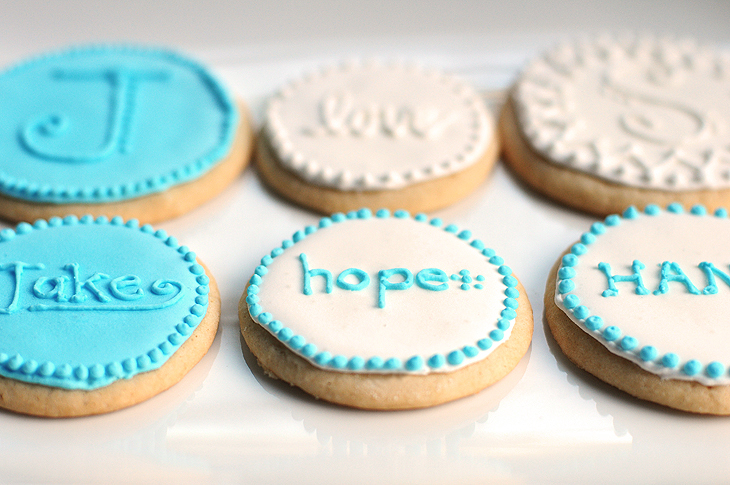 I’ve been experimenting with fancy cookie decoration, and none have come out looking as wonderful as these! Thank you for the chance to win! You do such a beautiful job on your cookies! What a great book. I never know how to decorate cookies. Thanks for the chance to win! Beautiful book! So many cute ideas! It makes me want to bake some cookies! I am fascinated by her patience and skill! Me me! So happy to see you in print! Go Bridget! 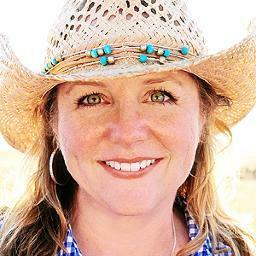 I’d love to win Bridget’s book, especially with Christamas on the way. Thanks for the giveaway. I would love this set by step book.